Discussion in 'Videos and Podcasts' started by NW7US, Feb 27, 2018. 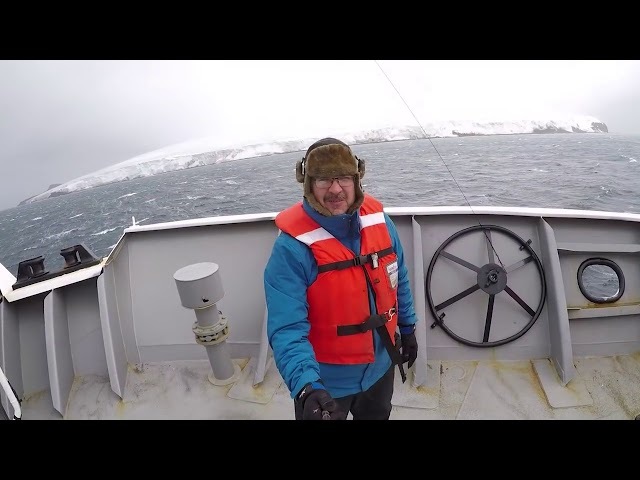 Here is video footage of the sea journey by ship to Antarctic Bouvet Island, made by the 3Y0Z amateur ham radio team in 2018. This footage caught a few moments on the deck of M/V Betanzos, and the bad weather that blocked the team from landing and having the DXpedition. As you can see in the last moments of this footage, the weather conditions contributed to the decision to abort the DXpedition, as it was far too dangerous to continue this expedition. "Our captain has decided that it is in the best interest of safety and expediency to proceed directly to Capetown, South Africa, rather than Punta Arenas, Chile. We are now heading north to avoid the possibility of encountering ice. Currently, there is no ice in sight or on radar. In due time, we will head easterly toward Capetown. Our entire team is safe. Most are resting in their bunks and in good spirits. We will keep the amateur radio community and our families informed, as we continue our journey." "During the last 72 hours, we continued to experience the high winds, low clouds, fog and rough seas that have prevented helicopter operations since our arrival at Bouvet," said an announcement on the 3Y0Z Bouvet Island website. "No improvement was predicted in the weather forecast for the next 4 days. Then, last night, an issue developed in one of the ship’s engines. This morning, the captain of the vessel declared it unsafe to continue with our project and aborted the DXpedition. We are now on our long voyage back to Punta Arenas. As you might imagine, the team is deeply disappointed, but safe. There is already talk about rescheduling the DXpedition." Bouvet Island currently is the third most- wanted DXCC entity, behind Kosovo and North Korea. The 3Y0Z DXpedition, comprised of top operators with considerable DXpedition experience, has been in the planning stages for 2 years and had attracted contributions from clubs and individuals around the world. AE7BT, KP4SX, W5BIB and 2 others like this. WoW, tnx for the link.